Inshore fishing has been right on! 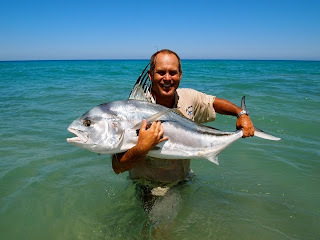 The fishing has been super, lots of shots at quality fish, from big roosterfish to big jacks and sierras. 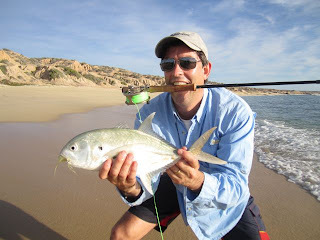 On most days we are getting shots at cubera snappers on the surface. I had two weeks open up for my action packed beach roosterfish seminars. These are private trips up to 3 people... May 5-12 and 19th -26. 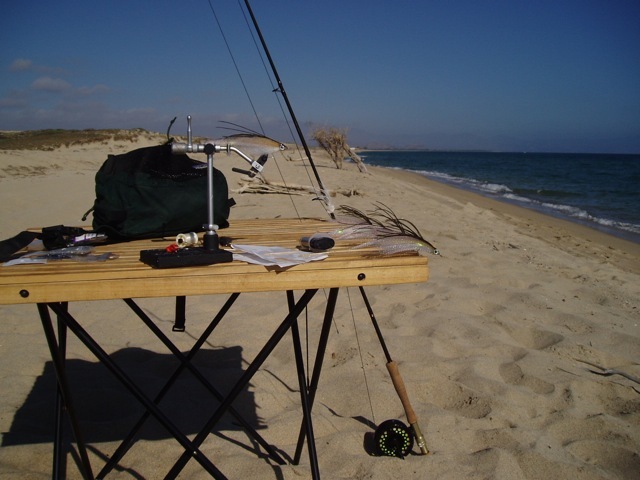 Please email me at info@baja-anglers.com for more info. 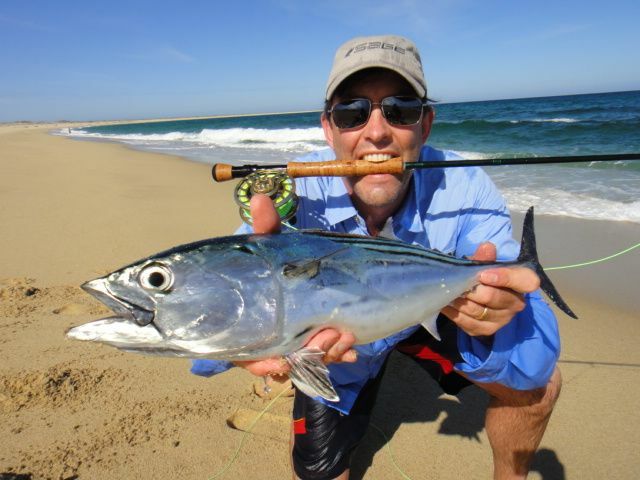 Roosta the big fish fly that works! Bruce Olsen form Umpqua sent me this photos and caption. Check it out! You can get your Grant Hartman Roostas from Umpqua. 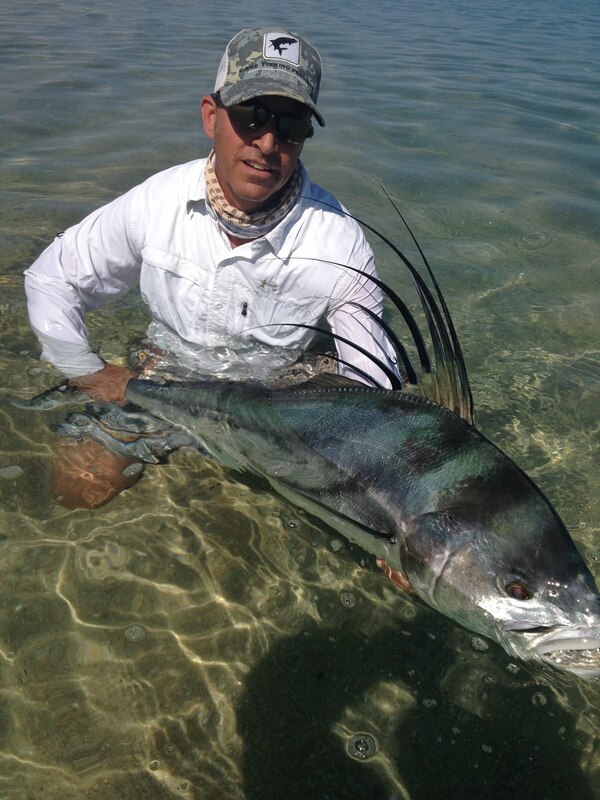 An enormous GT caught by a friend at Xmas Island. The guides were arguing if it was 80 or 90 lbs, but both said it was the largest G.T. they had ever seen landed on the fly. You can see the fly in its mouth. It was, by far, the group’s best pattern for the real bruisers during the trip. Wow, the fishing is sooo gooooood. 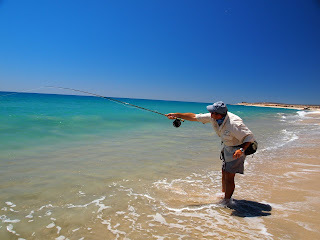 Bon had busting fish all day long and caught the big jack on the fly. 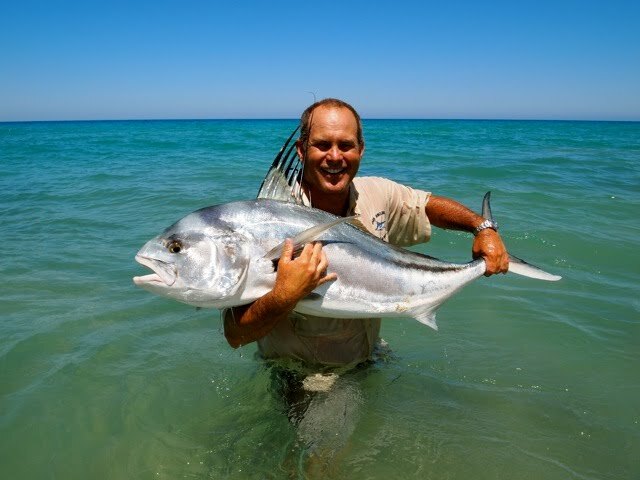 The jack was the biggest fish Bob has ever caught on the fly and he did a great job. Marlin , Dorado and tuna OH MY! My good buddy Gar and his friend Tony were out with us today and had a heck of a good day on the water... He said he wanted to go offshore and thought he was nuts... 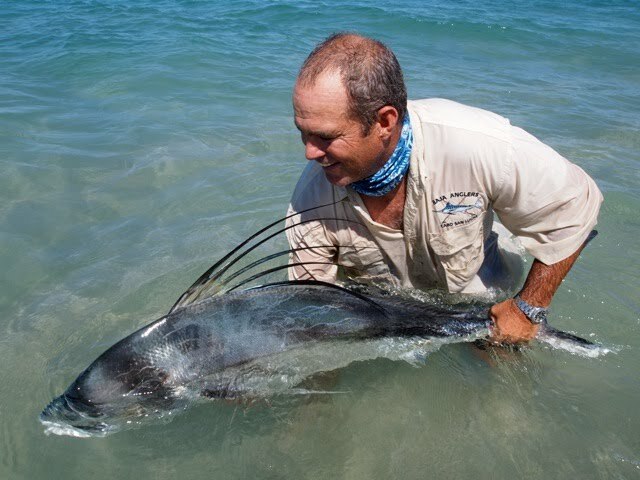 The marlin fishing had been slow..Well, after over 30 years on the ocean, nothing surprises me anymore, but when Alex called me around 11am and said they had already got 8 tuna, 6 dorado, and a striped marlin, I was pleasantly surprised.. Here are a few photos of their great day fishing with us..
Gary's first fish on the fly, what a way to start the day! Tons of big roosters and jacks today. The big 40 lbers were super picky, but the 20 liners were biters. On our boat we caught 10 roosters, 2 big jacks and 4 Sierra. We had this little guy come up and visit. Cute! 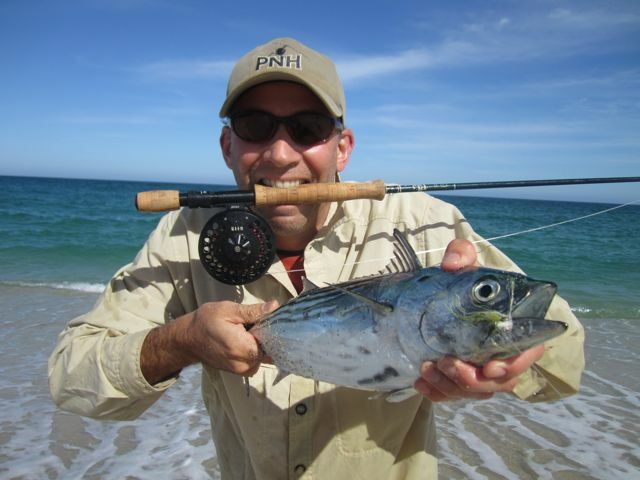 Randy gets a 30lb jack on the fly. Way to go Bro! 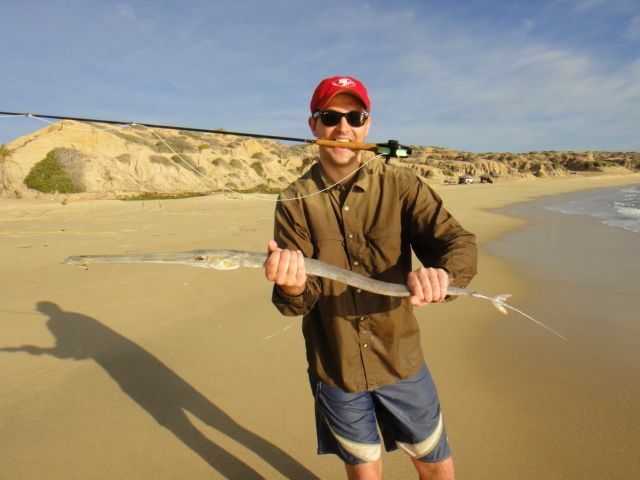 Don, Miles, and Gram had a blast beach fly fishing with me this last week. 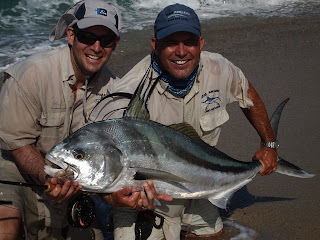 The roosterfish eluded us, but we caught over 7 different species including Kawa Kawa tunas. More family time! More fun!